CBN is a research and publishing company. We are dedicated to providing a balanced and objective view of customer satisfaction and service by small to mid-size companies. Our research seeks out the exceptional customer service companies; our publishing proclaims their top-flight performance. Our marketing support provides tools to help them spread their excellent traditions and capitalize on our unbiased, credible and objective third-party rating. In this manner, we strive to heighten the level of customer service and strengthen these top-performing companies that are the foundation of our communities. All of this is driven by a unique and proprietary method of measuring customer satisfaction, updated regularly. Our method takes into consideration the unwarranted negative impact of bias. With City Beat News’ process, biased, inaccurate and irresponsible reviews and ratings don’t unfairly damage reputations. 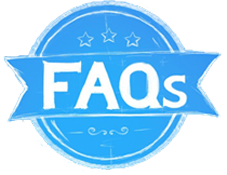 Our researchers gather information from many sources, including blogs, social networks and business-rating services, as well as other online and offline sources including direct customer input, nominations and industry publications. We don’t ignore the online user-review websites, even if they have blatant problems with bias. Our process filters out that bias and proprietary analysis distills this collected information into one score. We report this balanced rating for each deserving company. 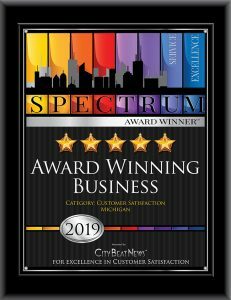 The fraction of overall companies achieving an exceptional score receive the coveted Spectrum Award. Upon identifying the stars, we proclaim their top-rated status and provide exclusive access to tools and resources designed to help them continue to grow and build upon their exceptional track record. Are you a recent award winner? Check your award status here.